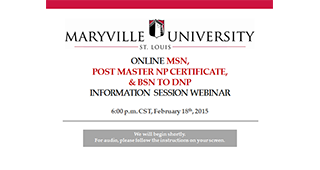 Learn more about the Maryville University’s Online MSN, Post Master NP Certificate & BSN to DNP programs from the Coordinator of the Nurse Practitioner Programs, Nina Zimmerman. 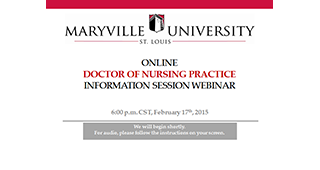 Learn more about the Maryville University’s Online DNP Program from the Assistant Dean for Nursing, Dr. Elizabeth Buck. 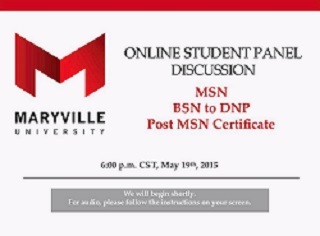 Current online students discuss their online experience in the Maryville online Graduate Nursing Programs. Topics discussed include school/life balance, clinical and preceptors, group work and more!